The Turner register was set up as a way of keeping a record of as many surviving Turner Sports Cars as possible and to keep a record of Turner owners, both past and present tracking cars by chassis and engine number or in the UK by registration number. The Turner Register is maintained by registrar Russell Filby who is UK based and also manages the Turner Sports Cars website and Turner Sports Cars Facebook group. The Turner Register is a section of the Fairthorpe Sports Car Club which caters for Turner owners and enthusiasts worldwide. The club also caters for many other of the less well-known sports car manufacturers based in the UK which produced in small volume in the 1950's and 1960's. As Turner registrar I provide technical support and advice to club members and owners,and write the 'Turner Tattle' in each monthly edition of the clubs lively and informative newsletter. The Newsletter provides the latest news and information on Turner Sports Cars and is also the place to source parts and cars. 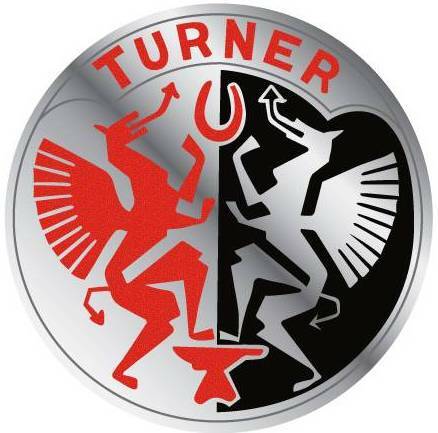 The Turner register also holds Annual Turner Sports Car gatherings in the UK and supports the events held in the USA. Anna Bentley (Membership Secretary)at the address on the form. To request to pay via PAY PAL if overseas please click here to email the Club Treasurer Brian Shaw for an invoice and costs or see the application form for more detail. Club Membership includes 11 monthly newsletters covering all of the makes of car the club caters for.